Happy Lunary New Year! We like to dedicate the first month of the year to brainstorming creative ideas and leading wedding trends for the year ahead. What will the wedding dress trends be? What unique wedding venues are there? But we’re not inventing these ideas out of nothing. Instead, we look at real couples for the inspiration. We have gathered some of the favorite ideas right here! Below you’ll find 5 handpicked trends/things/thoughts that we’re excited for in 2019. And we’re revealing of the best secrets! You’ll find decor moments we’re obsessed with, practices we want to steal (um, we mean politely borrow), and concepts we can’t wait to see couples execute. 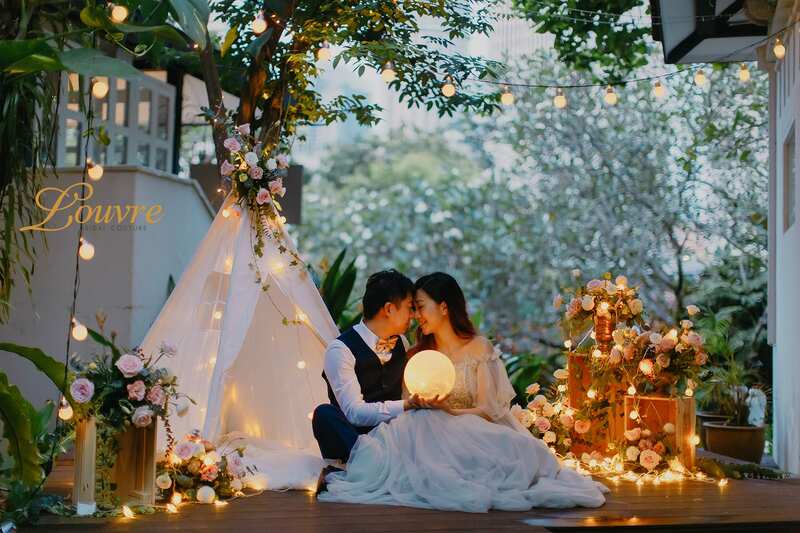 Basically, these are the ideas that could take your wedding from “cool wedding” to “wedding of the year.” And not to brag, but we kinda know our stuff: We look at wedding pictures All! Year! Long! Make your wedding unforgettable with these unique venues! With such gorgeous places, you’ll save big time on décor as these super-cool locations speak for themselves. 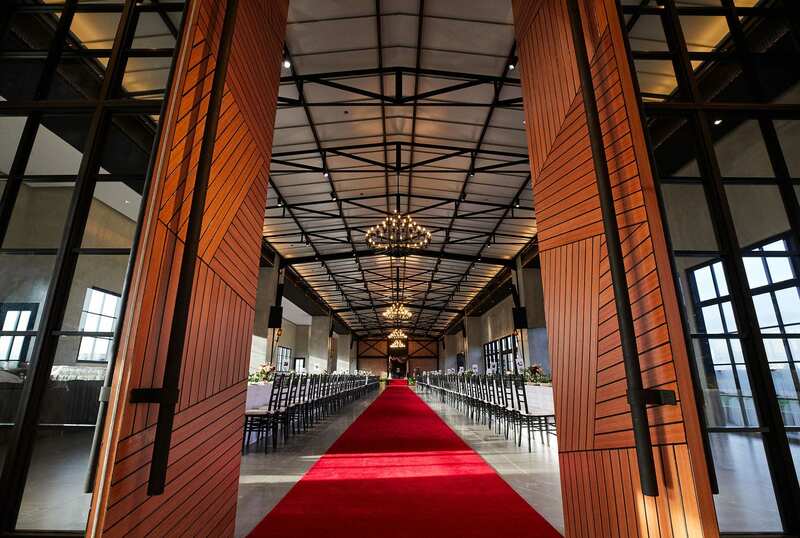 More couples are looking into alternative spaces to host their wedding event right now. Located in the heart of Orchard, PICNIC is a lush oasis right in the middle of the cityscape. 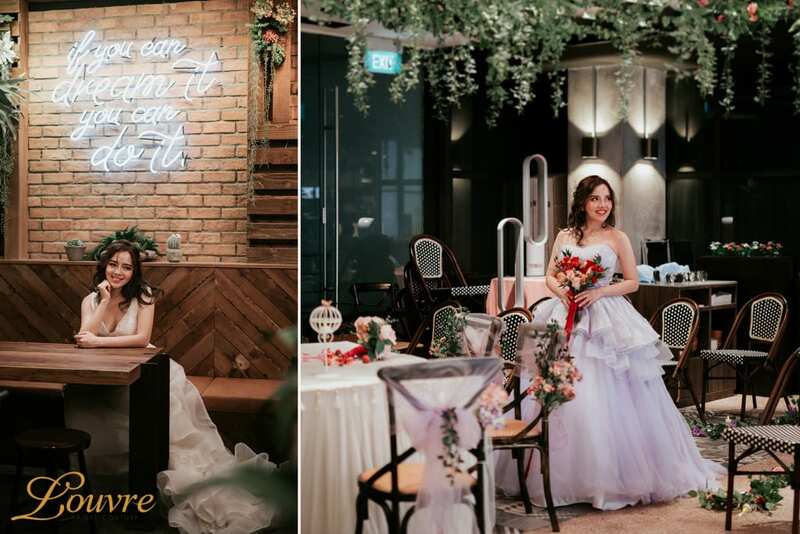 This botanic themed restaurant with rustic furnishings is absolutely so insta-worthy. What’s more, you do not have to be at the mercy of the weather having an outdoor garden wedding. PICNIC has got you covered (pun intended). Did we forget to mention? 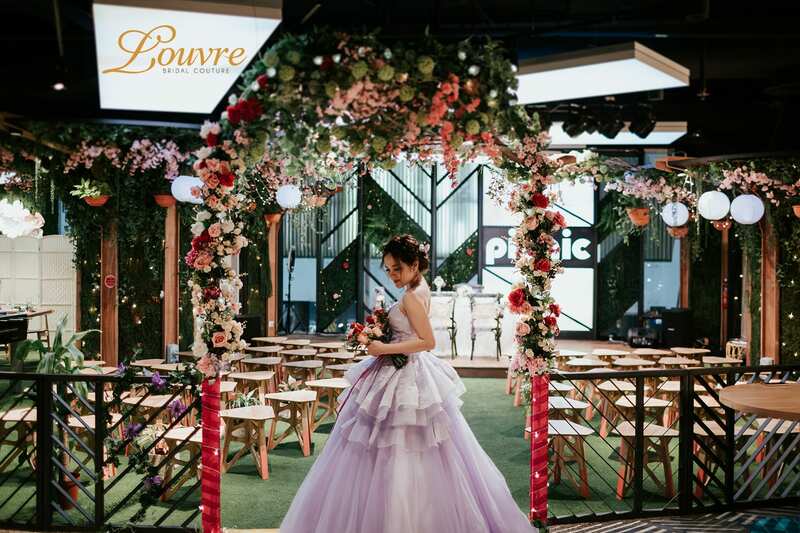 Being the preferred partner of PICNIC, our Louvre brides and grooms enjoy special privileges to access this beautiful venue for their pre-wedding photo shoot. 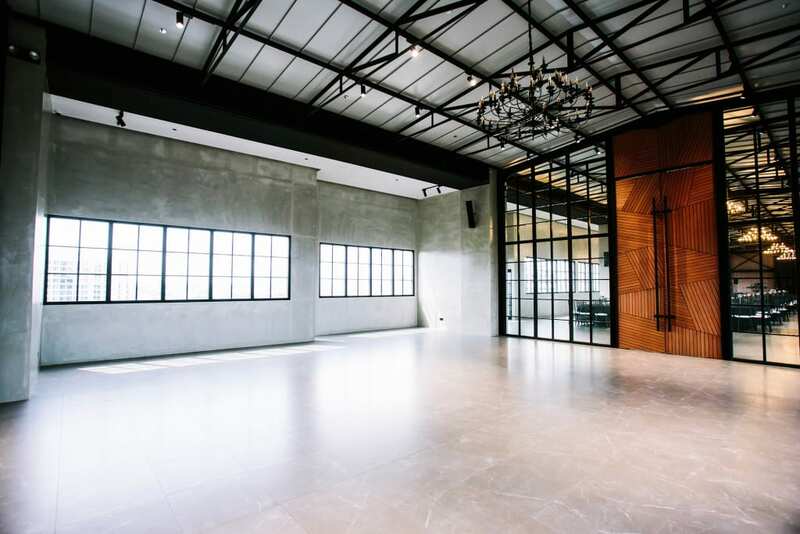 The next uprising trend we spot will be wedding spaces located in industrial areas. These wedding halls are spacious and could be transformed to fit your wedding easily. 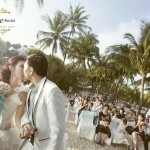 Located off the bustling city area, it’s good for those who wish to have a quaint wedding. Most also have a bridal suite, reception area and a rooftop garden to meet all your other wedding venue needs. What’s not to love about this? Plunging necklines! The deep V neckline is a must-try for two reasons: It flatters your upper body and elongates your frame. A plunging V with lace is ultra-feminine. Just have to make sure you have fashion tape handy the day to prevent any wardrobe malfunctions. Another favourite would be Allover sparkle! 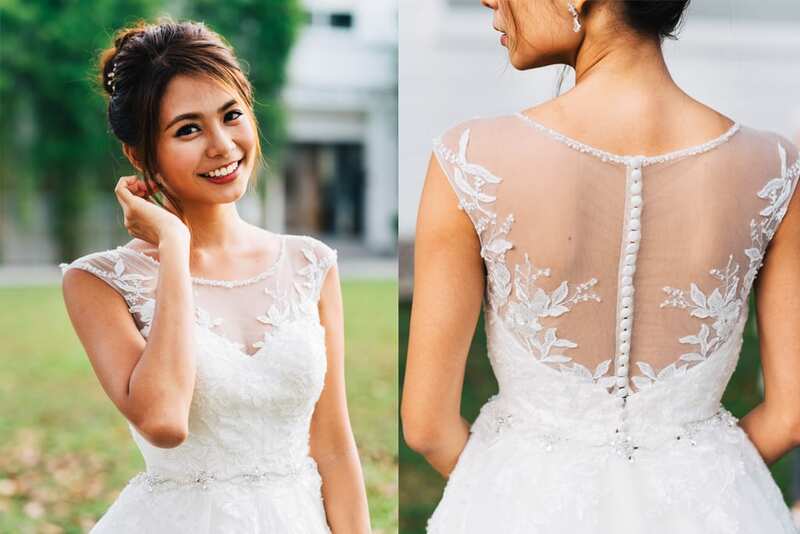 Calling all Kirakira app-obsessed brides! 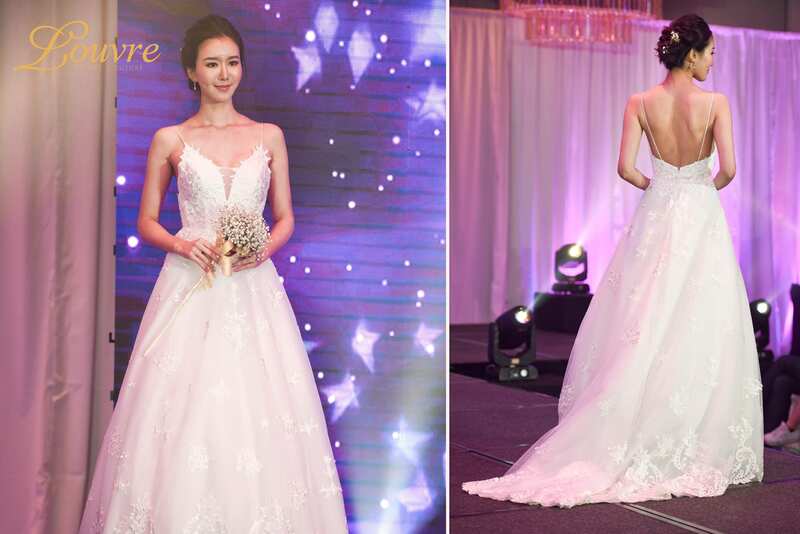 Turn your wedding into a glittery affair with these glistening gowns. Perfect for nuptials under the stars, this trend is daring but sophisticated. 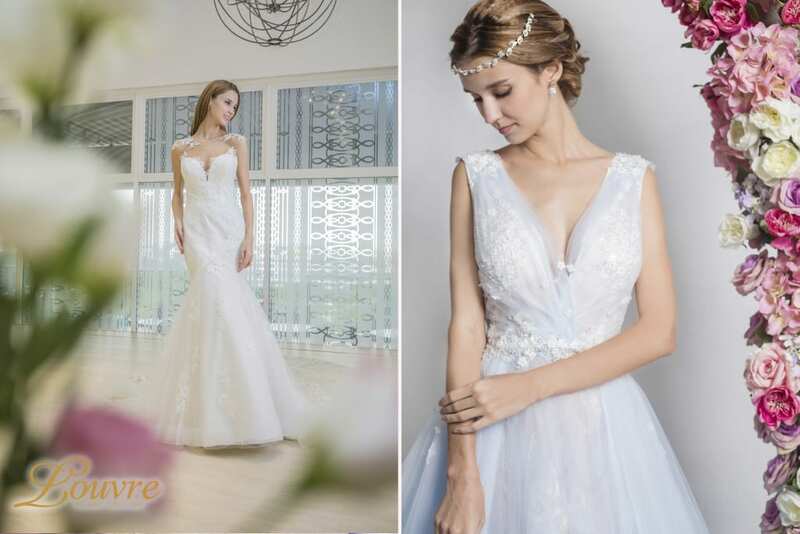 Tip: If you are rocking a gown with lots of sparkles, keep your accessories minimal and let your glitzy wedding dress do all the talking. Ever thought of night wedding photography? It is now one of the wedding trends among young couples. 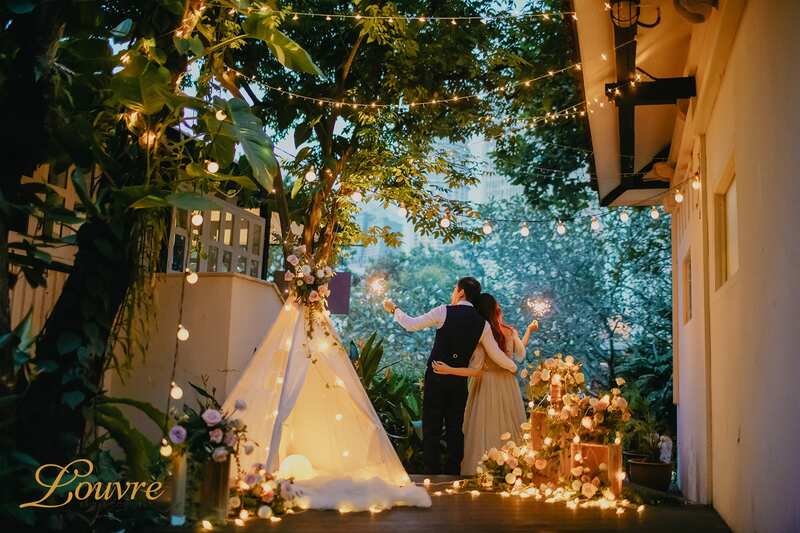 When night falls, some of the most romantic wedding moods takes place. Camping by the woods, sharing special time by the beach or just counting stars. Pre-wedding night photography has a charm on its own as most photographers will do a pre-wedding shoot in the day. 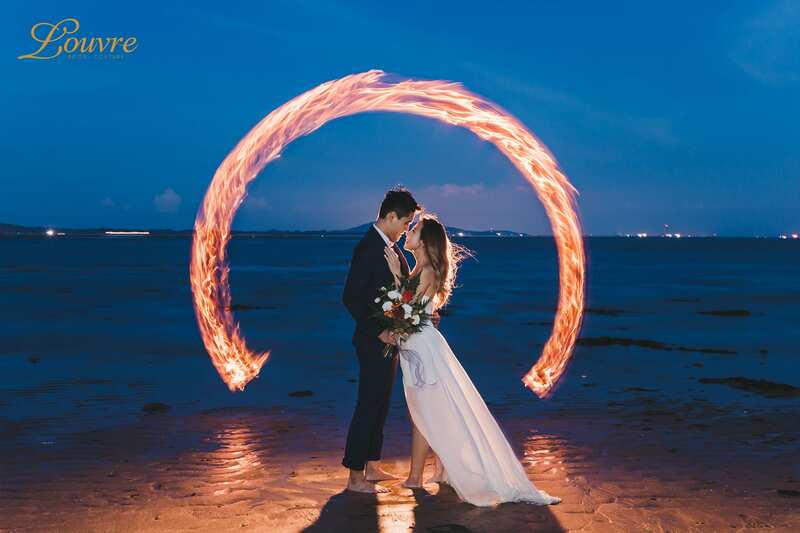 This is one of the coolest ways to have a different pre-wedding photo. 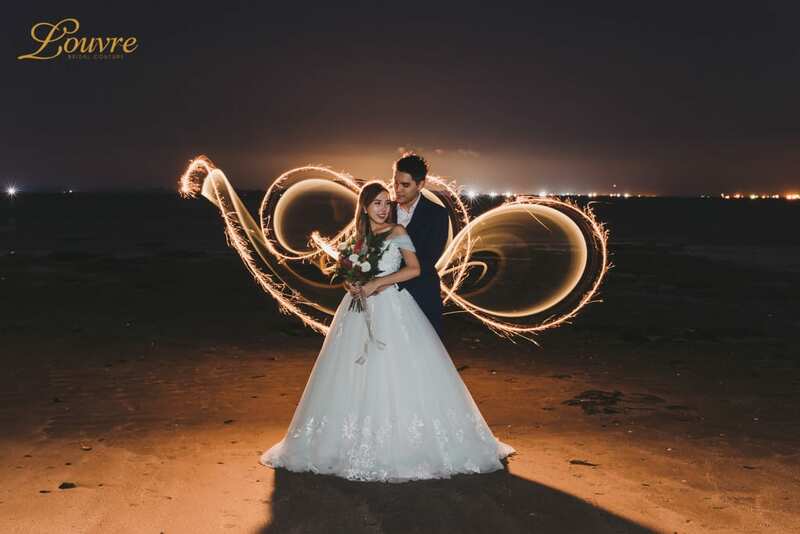 Let the photos glow with fairy lights, sparklers or streaks of light drawings. 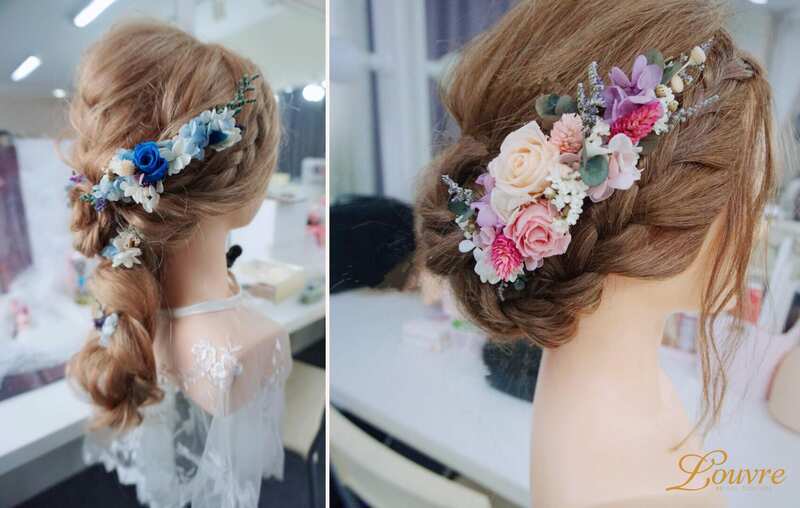 We spot many brides sporting fresh flowers on their bridal hairdo in recent years. It’s classy, elegant and every bit romantic for the wedding day. However, dried flowers are THE trend of 2019! Preserve the flowery goodness with dried flowers. 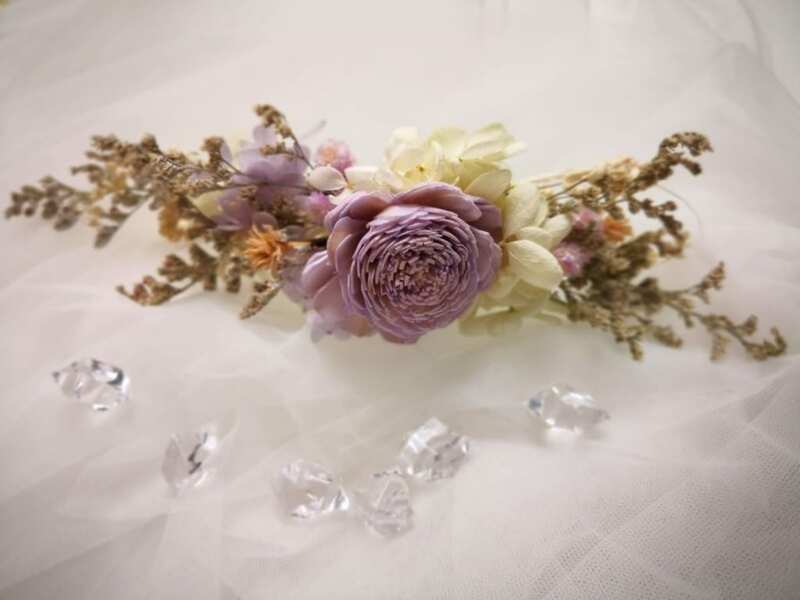 They are long lasting throughout the wedding day and is able to withstand the tropical weather. Not only is this a sustainable choice that makes a beautiful keepsake, they look wild, unusual and gorgeous too! “There’s so much room for creativity when coming up with such headpieces! 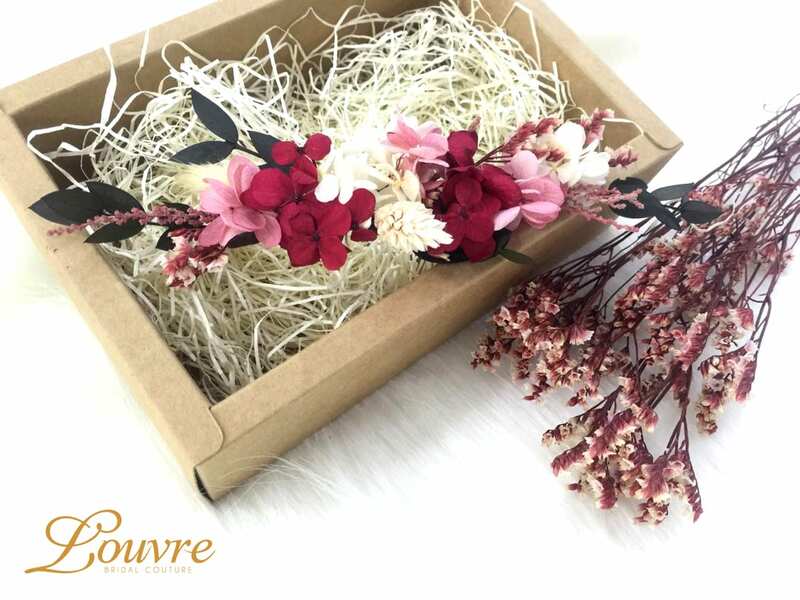 And we could also dye the silk flowers into any colour we want to match the gown style and colour,” says Louvre’s makeup artist, Ice Lee. 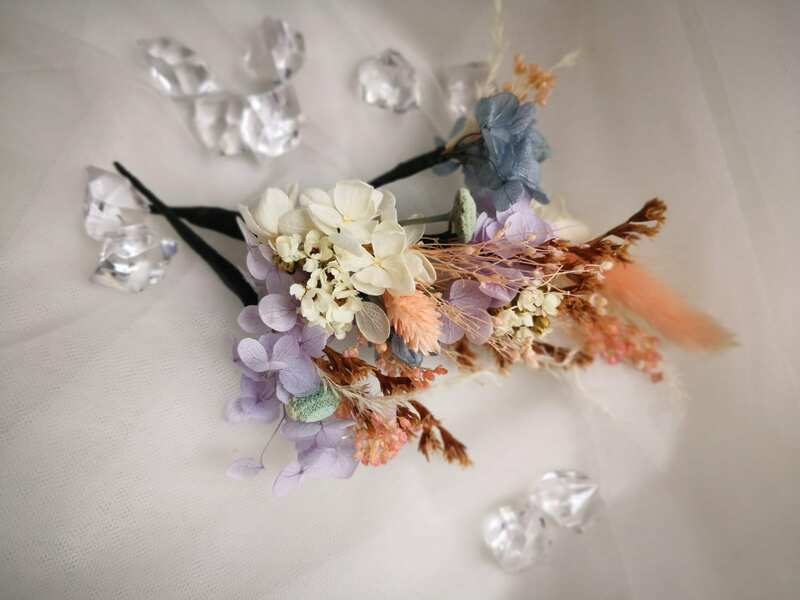 The floral accessories can range from dainty baby’s breathes to statement blooms. They are an easy way to dress up an otherwise conventional up-do while giving your look an appropriate springtime touch. Pro tip! – These blossoms go especially well with light brown to ash coloured hair. These beautiful floral headpieces are all handmade by our talented makeup artists, Ice and Shanice. Just share the theme of your wedding and the colour tones, and let the floral magic be conjured! This is described as the colour-of-the-year! 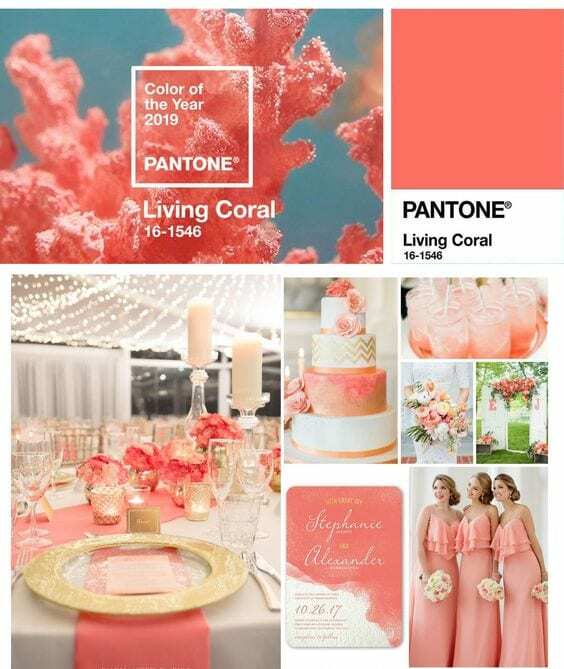 Pantone’s newest “It” shade is absolutely perfect for your wedding celebration. An animating and life-affirming coral hue with a gold undertone that energizes and enlivens with a softer shade. It’s on trend and at the same time inherently timeless, bright and joyful. How could anyone not smile seeing this shade? Though similar shades of blush pink and pastels are popular in today’s nuptials, we’re sure this trending colour will allow us to see even more bright coral colour palettes for celebrations taking place this year. We are happy, to sum up our fine selection of some of the fascinating insights and wedding trends. 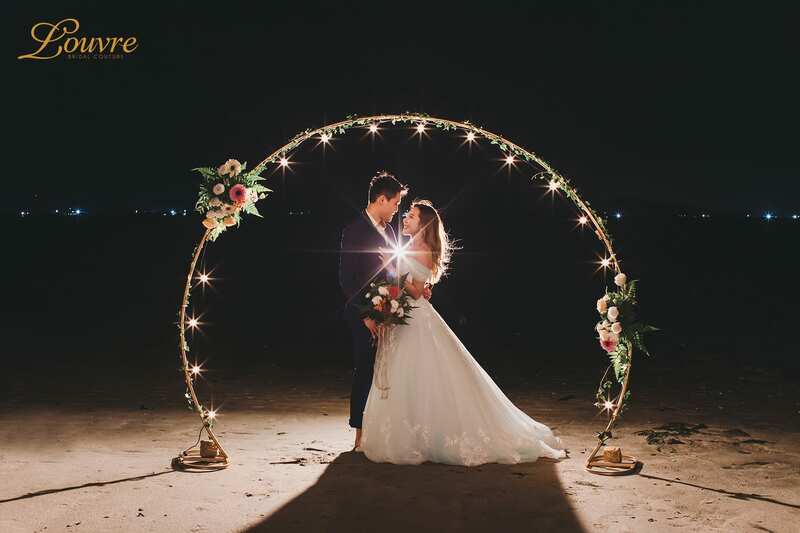 Hope it sparked some ideas for our Singapore brides and grooms-to-be out there who are still planning for your wedding! 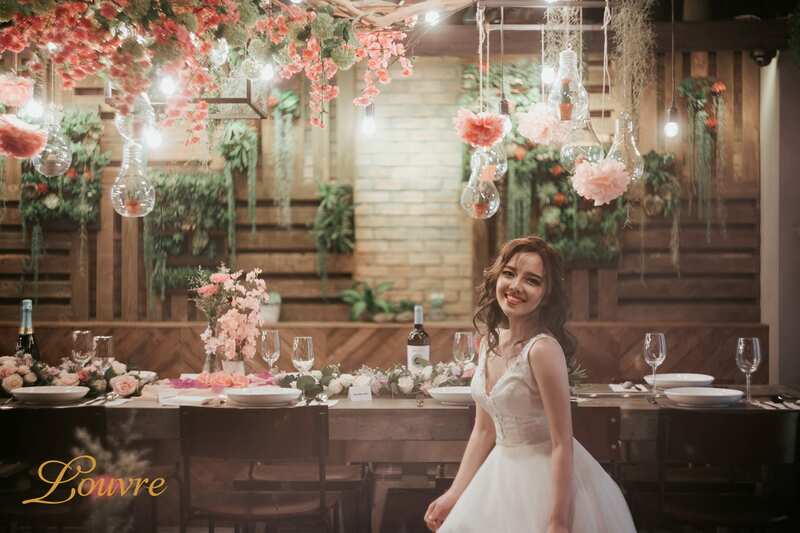 Come drop by for a cup of tea as we share more wedding trends with you! 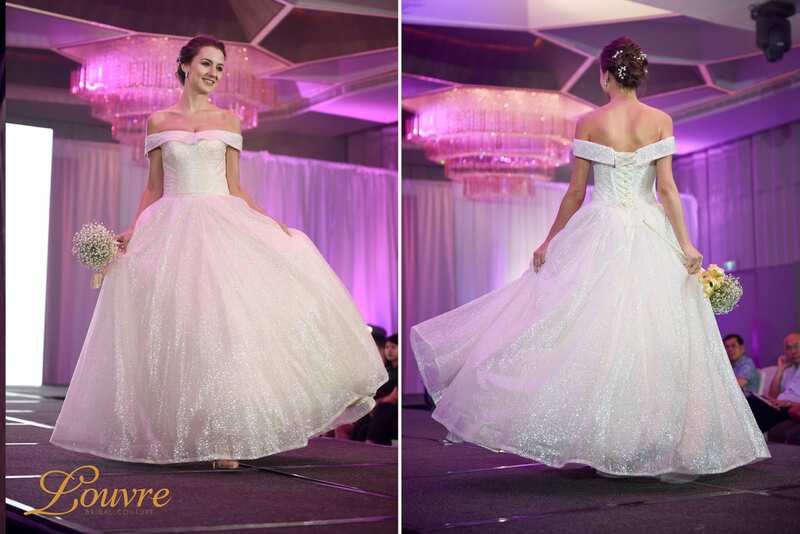 Buzz us at 6337 7808 or drop us an email at enquiry@thelouvrebridal.com.